Traditionally the integration of data from multiple sources is done on an ad-hoc basis for each analysis scenario and application. This is a solution that is inflexible, incurs high costs, leads to “silos” that prevent sharing data across different agencies or tasks, and is unable to cope with the modern environment, where workflows, tasks, and priorities frequently change. Operating within the Data to Decision Cooperative Research Centre (D2D CRC), the authors are currently involved in the Integrated Law Enforcement Project, which has the goal of developing a federated data platform that will enable the execution of integrated analytics on data accessed from different external and internal sources, thereby providing effective support to an investigator or analyst working to evaluate evidence and manage lines of inquiries in the investigation. Technical solutions should also operate ethically, in compliance with the law and subject to good governance principles. 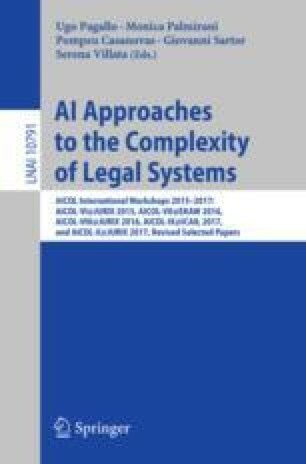 A previous version of this paper was presented at the Third Workshop on Legal Knowledge and the Semantic Web (LK&SW-2016), EKAW-2016, November 19th, Bologna, Italy.